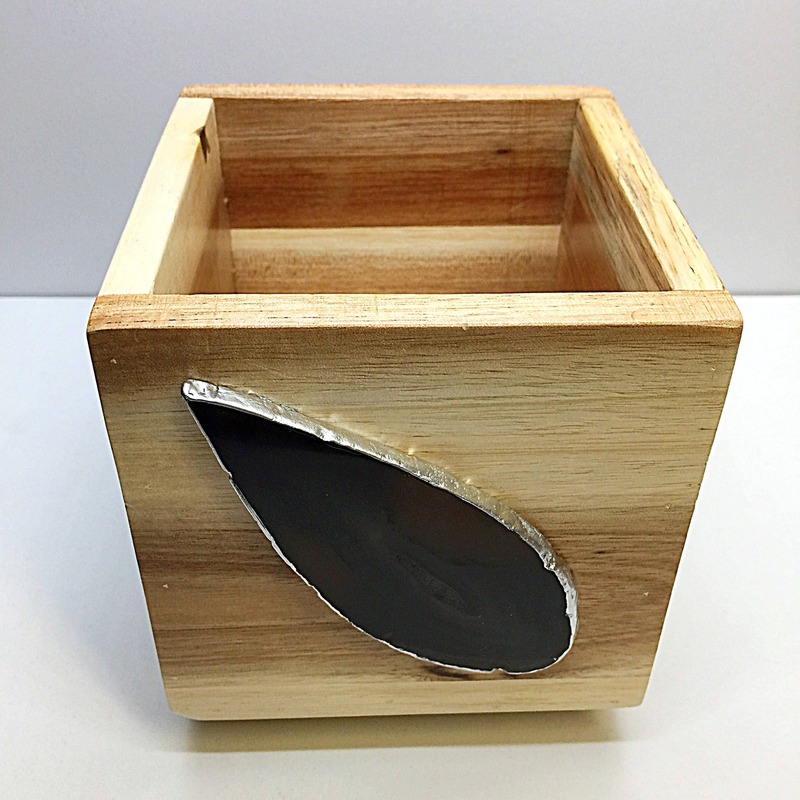 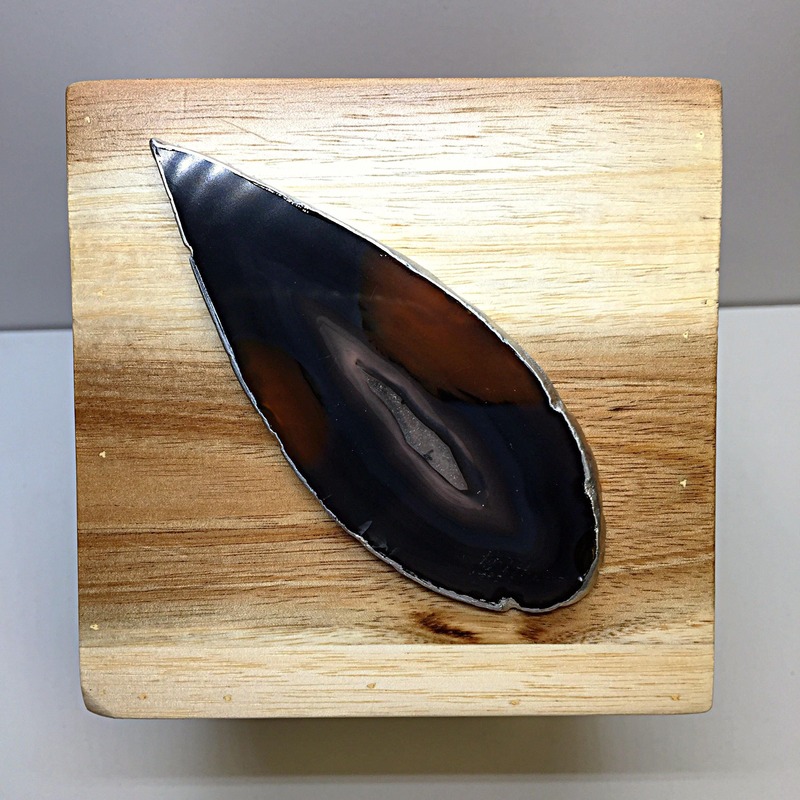 ✔ NATURAL, STYLISH AND UNIQUE - OOAK, Amazing Quality, made of various shades of warm acacia wood hand assembled into a Square shaped container. 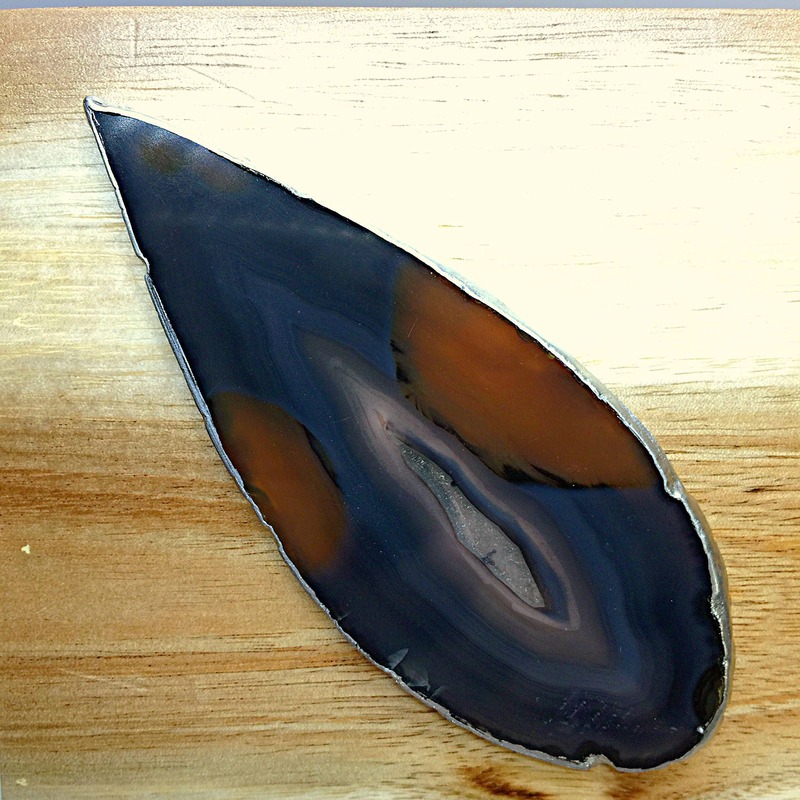 Adorned with a rich warm brown / black Agate slice edged with gold or silver leaf. 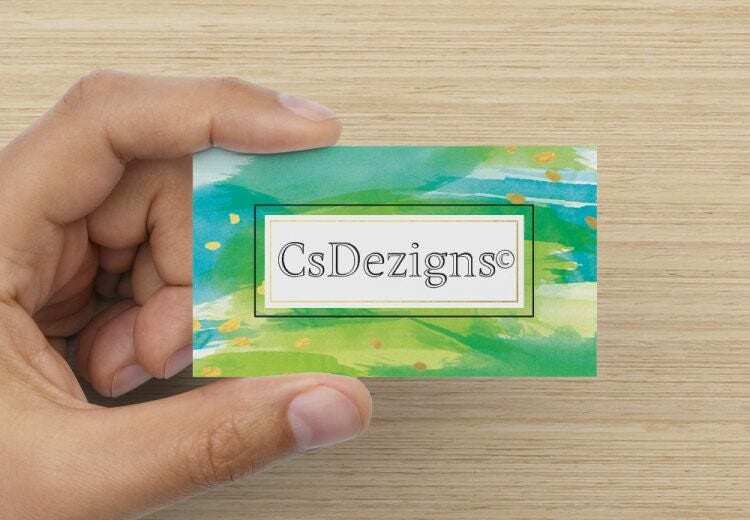 ✔ LARGE STORAGE CAPACITY - Spacious 4" x 4" size to hold all your pens, color pencils, markers, scissors, remote controls, brushes and so on without occupying much space on your desk. 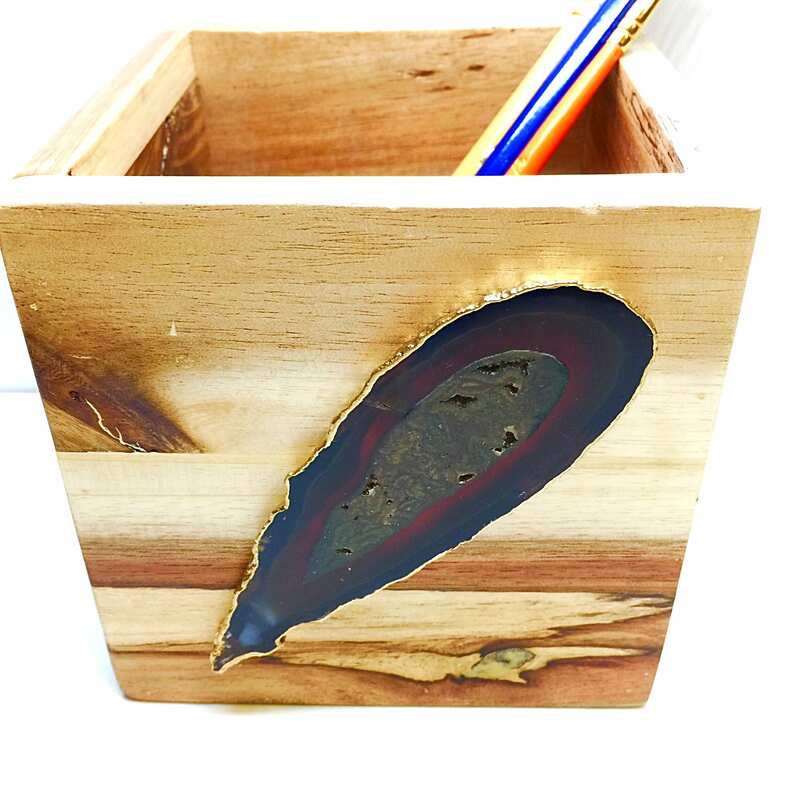 ✔ PREMIUM QUALITY - Handmade and well finished, this desk pencil organizer is smooth to the touch and durable. 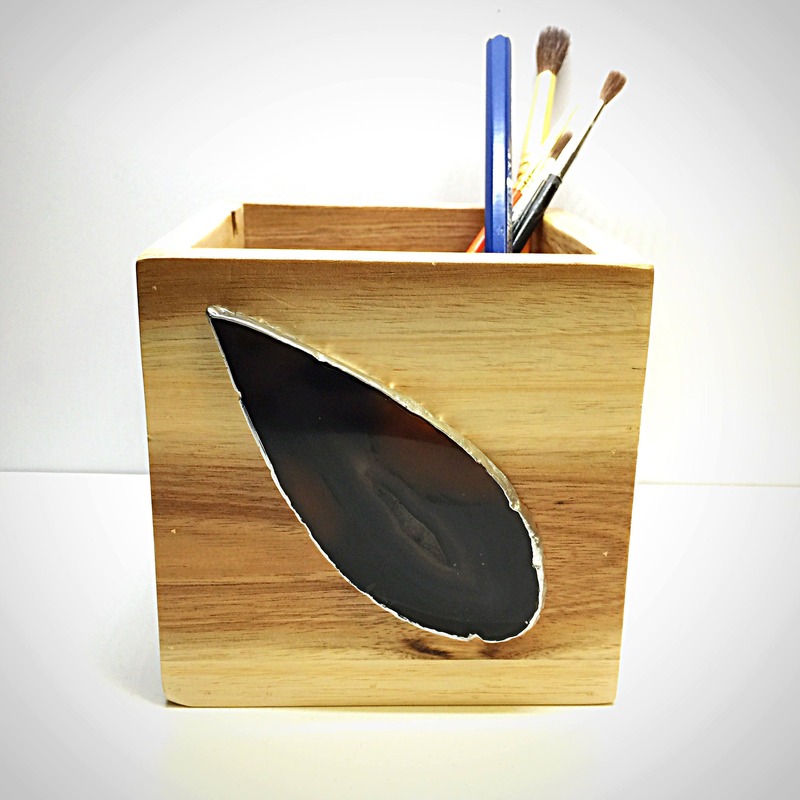 ✔ MULTIPURPOSE - It is not only an office organizer but also can be used as a featured tableware holder or a natural flower pot. 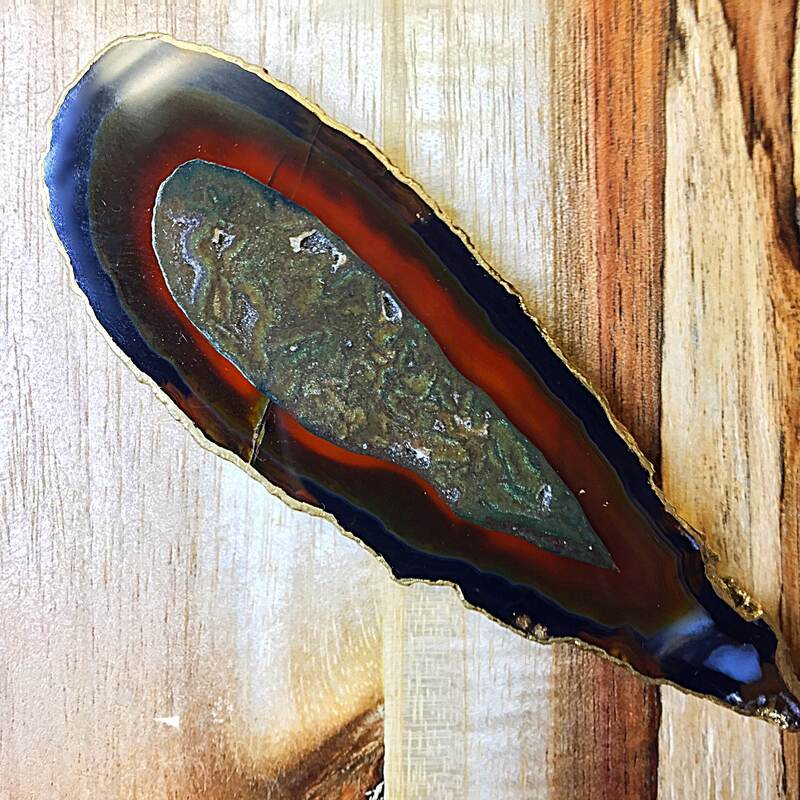 ✔ BEST OFFICE DECOR - The colors of this Acacia wood and Agate slice are so beautiful, it will be the star on your desk, table or counter.